Shaping Little Souls: Defying the odds??? Mom needs to brag a moment. Bear with me. My 22 month old is potty training! I am in shock! 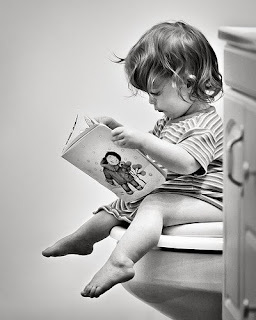 Her brother who is 3.5 years old is also practicing using the toilet... for the last year! This is what is so shocking, If you know anything about toilet training there are a few DON'Ts. 2) never train when you are in the midst of a big transition : moving or new baby coming. we are moving in two weeks, and we will be having another baby in about 3 months! Let's hope she really is defying the odds!